I realize I’m posting this recipe quite late in the season but I promise that it comes together quickly and tastes like summer incarnate. The recipe is from an old Cooking Light magazine. Slice tomatoes. 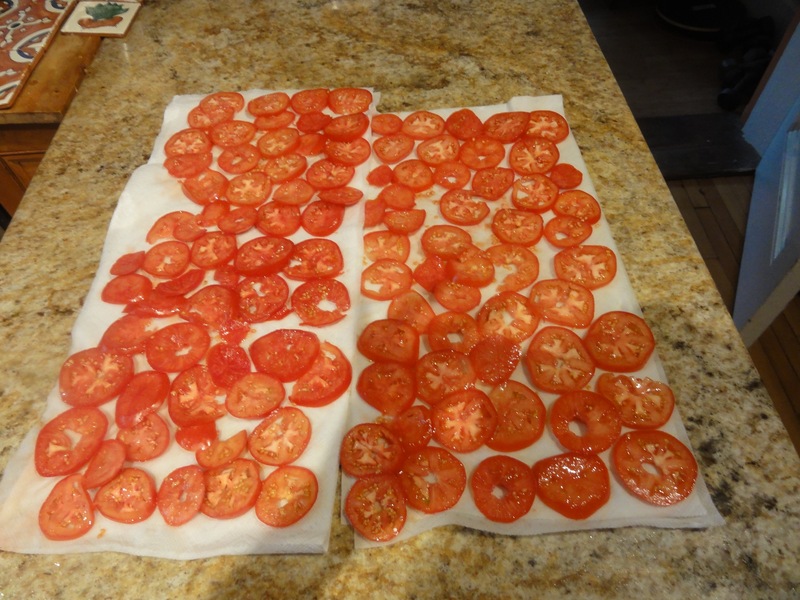 Arrange slices in a single layer on paper towels. Sprinkle with salt. Blot after 20 minutes. Don’t skip this step! Blend fresh corn, lemon juice, and sour cream in a food processor until smooth. Mix together 1.5 cups flour, corn meal and 1/2 tsp/2 ml salt. Rub butter into dry ingredients to form a coarse meal. Add corn mixture to meal and knead gently a few times. 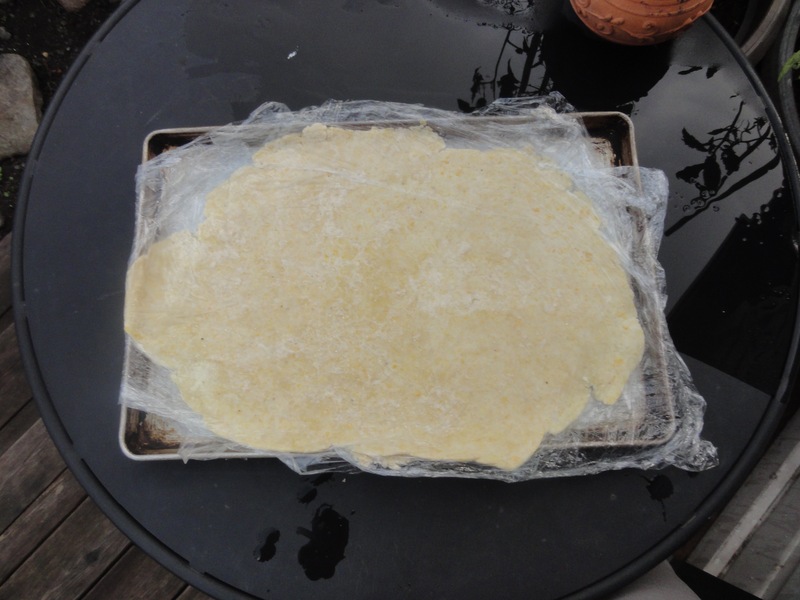 Place dough between sheets of plastic wrap and roll out to form a thin, large circle. Place on a flat surface like a cutting board and chill or freeze for 10 minutes. Sprinkle a baking sheet with cornmeal. Remove dough from fridge/freezer. Remove and discard plastic wrap and set dough on cornmeal sprinkled baking sheet. Arrange basil, cheese and oregano on dough leaving a wide border. Do not omit the cheese or your tart will come out soggy and gross. Mix together 2 Tbsp/30 ml flour and 1/2 tsp/2 ml salt. Sprinkle half of the flour/salt mixture over the cheese. 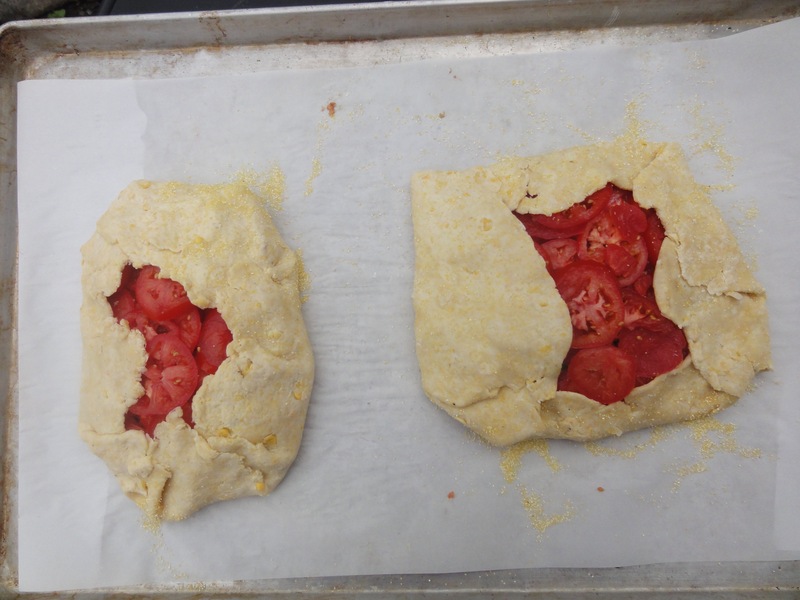 Arrange half of the tomatoes over the flour on the tart. Sprinkle remaining flour on the tomatoes. Top with the rest of the tomatoes. It will seem like too many tomatoes but it’s not. Fold edges of dough toward centre. 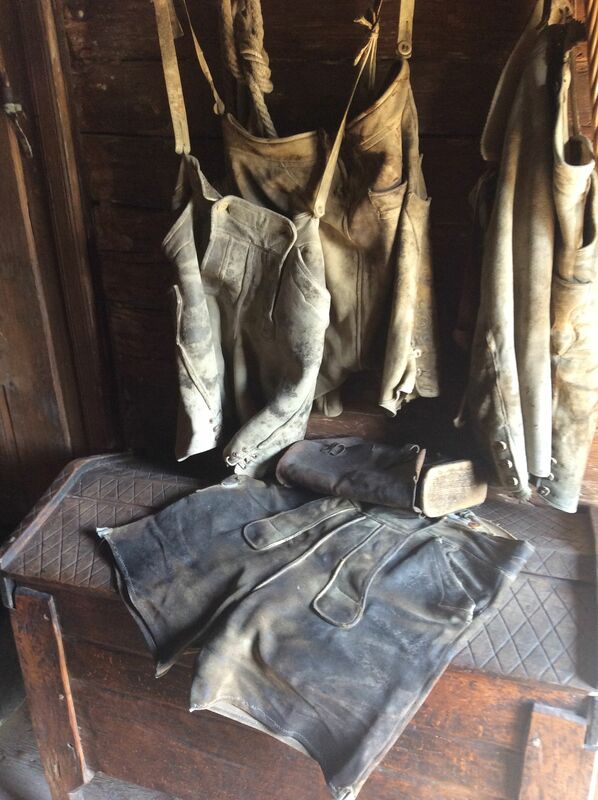 You are aiming for a rustic look. I doubled the recipe so that I would have an extra tart to bring to our couchsurf hosts. Bake for 35 minutes. Let sit 10 minutes. Top with ground pepper and more basil. This tart is delicious hot, warm and cold and it freezes well. If freezing, thaw, then bake for a further 5-10 minutes before serving. 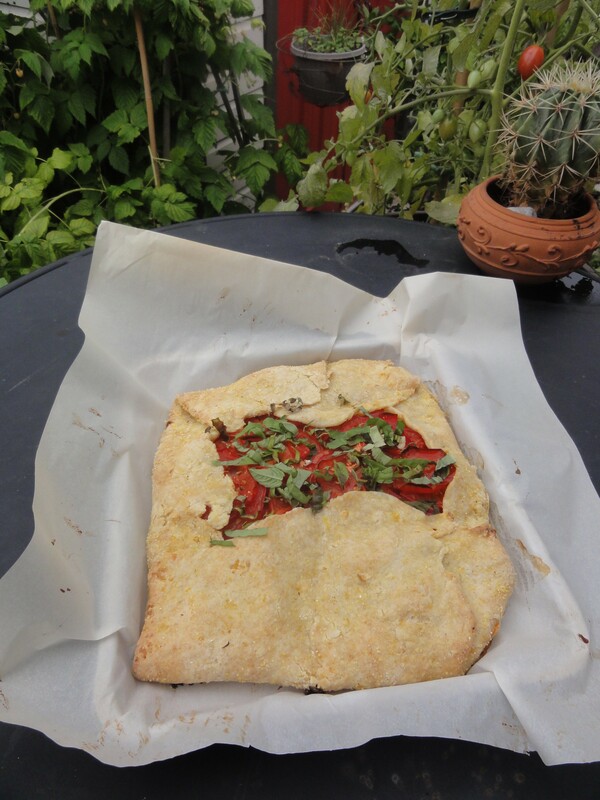 Thanks for the feedback – how validating :-) I think this recipe is a keeper – I’ve been making it every summer for years.